2015 mint store demo Six Gun now with the new, sleeker body shape. 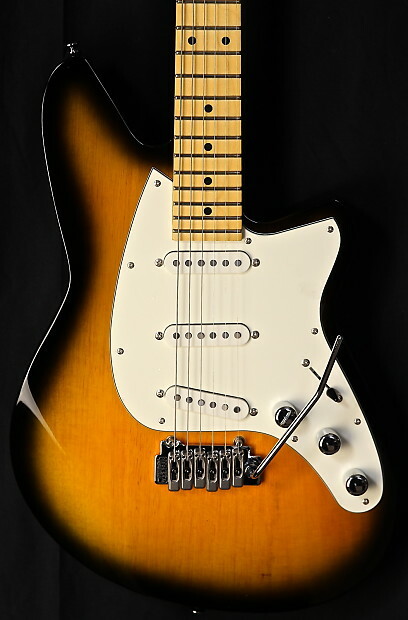 Imagine an “S” style guitar on steroids… those familiar tones but bigger, and with a tremolo that stays in tune! This tone gun features our new alnico single-coils featuring alnico 5 rod magnets, for a classic shimmer and twang but with more body. And you can always dial back the Bass Contour for a leaner more traditional tone. 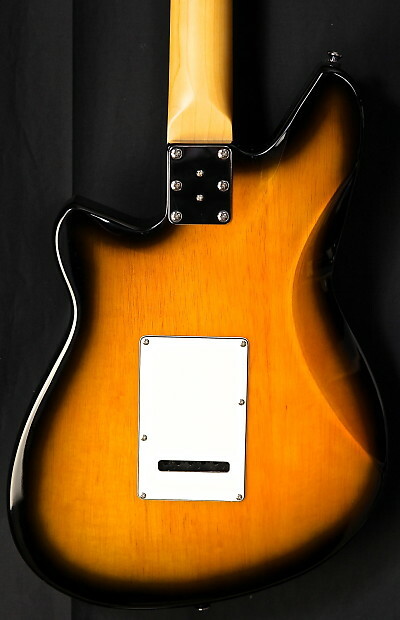 Korina Body with Maple neck. Graphite nut. Wilkinson tremolo, and and locking tuners. Very versatile! Case optional. We offer free domestic ground shipping within the continental U.S.A. on most purchases. There are just a couple of exceptions to our free shipping which include Fulltone Effects and vintage instruments. All orders are shipped Fed-Ex Ground Signature Required. If you are unable to be home to sign for your package, you can re-schedule delivery, or arrange to pick it up at your local Fed-Ex facility. We are not responsible for lost or damaged shipments that were not received on the first delivery attempt. International orders will be given quotes upon demand. International orders require bank wire transfers only. (Note), not all items are eligible for international shipping. Please inquire before buying.